Cryogenic Container Solutions operates a sizable LNG container fleet. Cryogenic Container Solutions operates a sizable LNG container fleet. Cryogenic Container Solutions B.V. owns and operates a large fleet of 40ft cryogenic ISO tank containers that are offered for rental and leasing services. This fleet consists of modern containers that are manufactured by three different suppliers, namely; Chart Industries, Cryovat, and Gascon. Our containers are designed to have a long holding time, high volume and a low tare weight. These parameters are key to enable a safe and cost competitive transportation of cryogenic gases and liquids. Our containers enable higher net loadings, lowering the unit transportation costs. The fleet is stored, managed and maintained at two locations in Europe, GETS van Loon in Antwerp and DEMI in Rotterdam. The containers can be used for the transport and storage of cryogenic gases and liquids, such as LNG (UN1972), Ethylene (UN1038), Ethane (UN1961) and Liquid Nitrogen (UN1977). The containers are available for short term rentals as well as for long term leases. This can be done for an individual container as well as for a larger batch of containers. 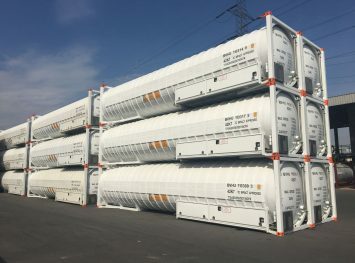 Due to the large size of our fleet, we have the unique capability to offer a large number of cryogenic 40ft ISO tank containers on a relatively short notice. Handling of cryogenic gases and liquids requires specialized in-depth knowledge and experience. We have significant operational experience with handling cryogenic gases and liquids and can support our customers with operations if required. 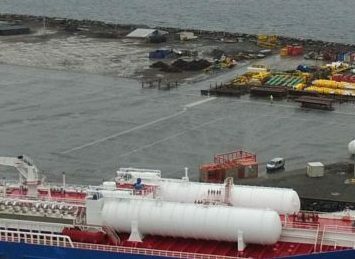 The cryogenic 40ft ISO tank containers can be used for the transportation of LNG over longer distances. 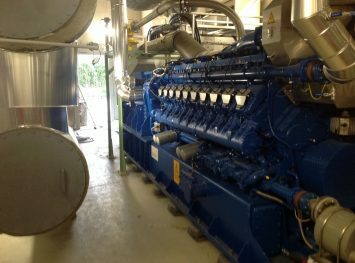 This enables a cost competitive fuel supply to end-users that are further removed from LNG supply sources. 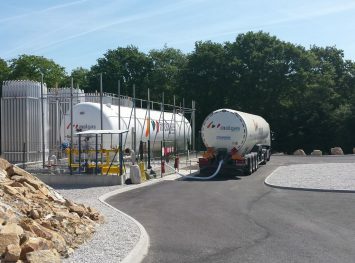 In addition to the cryogenic ISO tank container rental we can also offer the LNG supply. The cryogenic 40ft ISO tank containers can be used for the transportation of ethane over longer distances. In addition to the cryogenic ISO tank container rental we can also offer our customers the ethane supply.